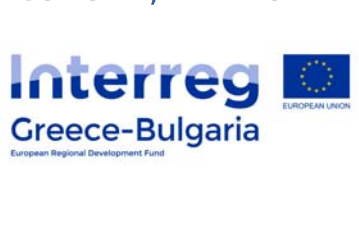 The Interreg V-A Cooperation Programme Greece – Bulgaria 2014-2020 is a cross-border cooperation Programme co-financed by the European Union under the European Regional Development Fund. The total budget (ERDF and national contribution) for the Cross-border Cooperation Programme Greece-Bulgaria 2014-2020 is €129.695.572,00. The total financing consists of € 110.241.234,00 (85%) ERDF funding and 19.454.338,00 (15%) national contribution. The proposed strategic project in the framework of this Call will include the achievement of significant goals and must, at the same time, safeguard the maturity prerequisites of the proposed interventions, with the higher aim of covering the commitments for the N+3 rules for the first years of the Programme. Before submitting any project proposal, applicants are invited to consult the Operational Programme approved by the European Commission on 09/09/2015, the respective EU regulations and annexes attached to this call. These documents are available on the Programme’s website at http://www.greece-bulgaria.eu/ in the “Programming Period 2014-2020” section. Please note that this Call for proposals is subject to the signing of the Ministerial Decision on Management and Control System (for Greek beneficiaries). 32.500.000,00€ ERDF and 5.735.295,00€ National co-Financing). The project budget is set up to the budget of the related investment priority. This budget range is considered sufficient for the implementation of a relatively large scale project. period of the expenditure should be the end date of the subsidy contract in force. Under no circumstances the final date of eligibility of expenditure can exceed the 31st of December 2023. Eligibility rules on activities and related expenditure are set out in the Project Application Guidelines and in the Commission Delegated Regulation (EU) No 481/2014 of 4 March 2014 supplementing Regulation (EU) No 1299/2013 of the European Parliament and of the Council with regard to specific rules on eligibility of expenditure for cooperation Programmes. Further information about the eligibility of partnerships is provided in the Project Application Guidelines. For the proposal, a Lead Beneficiary shall be designated, with the capacity to start the implementation of the project as quickly as possible, to exploit the immediate results of the intervention, and to concentrate all available managerial, financing and know-how resources and focus them on the project.